AMDC Law aviation law specialists attended the 2016 European Business Aviation Convention & Exhibition (EBACE). EBACE is an annual business aviation convention held at the Palexpo in Geneva, Switzerland. The convention featured a static display of 60 business jets and also exhibitors covering nearly every aspect of the business aviation industry. 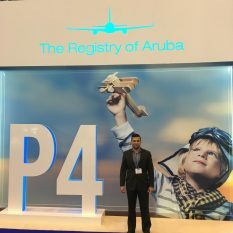 This year the Registry of Aruba again had an amazing booth, representing the innovative approach of registering aircraft in Aruba. AMDC Law was happy to be part of the team providing information and answering questions of the Registry of Aruba booth visitors.